With the velocity of change and the demand to deliver expected outcomes and results increasing, leaders are recognizing that organizational change maturity is no longer a luxury but is in fact a necessity. Prosci began its research and development on embedding organizational change capability back in 2004 with the development and release of the Prosci Change Management Maturity Model™. The Prosci Maturity Model has enabled countless organizations to document their current level of maturity and develop actionable plans to increase their maturity. 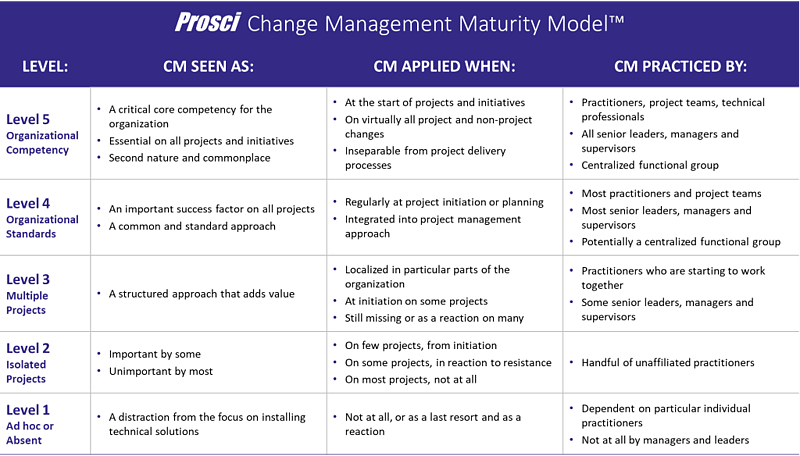 As an organization moves up the levels in the Prosci Maturity Model, change management occurs on more projects and initiatives and in more parts of the organization. Employees participate in change management more broadly throughout the organization, and employees begin to internalize their role in making change successful based on their relationship to change. The organization takes steps to embed and integrate change management into more functions in the organization. Ultimately, projects and initiatives are more successful, evidenced in improved realization of benefits and achievement of desired outcomes. 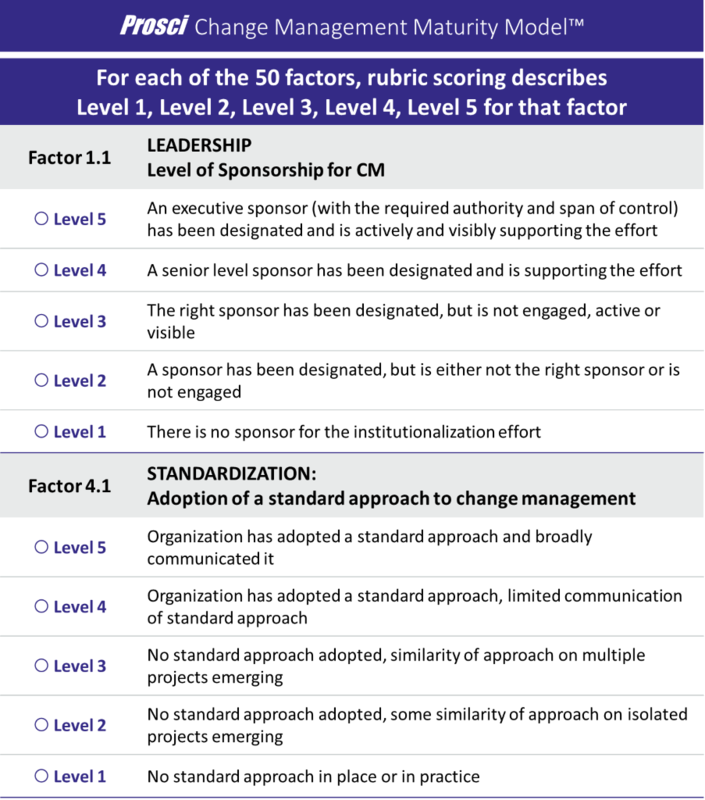 The table below provides descriptions of how change management is perceived, when change management is applied, and who is practicing change management for each of the five levels. As part of the buildout of the Prosci Maturity Model in 2012, Prosci reviewed the research and extensive client experiences to identify observable dimensions of maturity. The result of the analysis was five observable observable capability areas: Leadership, Application, Competencies, Standardization and Socialization. The Leadership capability area focuses on specific leadership activities that center around building organizational change management competencies. How committed is leadership to organizational change management? Which activities or messages is the leadership undertaking to communicate the value of change management and the effort to build an internal competency? Who is sponsoring change management deployment? If your organization scores low in the Leadership capability area, then this is the first area you should focus on when building an organizational competency. In the Application capability area, you look at the use of change management processes and tools on projects and initiatives within your organization. What percentage of projects are applying change management? Are there people and funding available for applying change management on projects and initiatives across the organization? Change management is ultimately applied by employees, supervisors, managers, leaders, project teams and practitioners throughout the organization. The third capability area, Competencies, looks at the training and development of key groups that must apply change management tools and principles. Ask these questions: Whom have you trained? Have they demonstrated change management competencies? The Standardization capability area looks at the mechanisms and systems used to institutionalize change management. Is every part of your organization using the same change management approach? Have you integrated change management with project management? Have you included change management in other improvement approaches? Standardization is the capability area that enables effective change management to become a fixed component of how the organization introduces change. The fifth and final capability area, Socialization, focuses on building commitment and buy-in for change management. Effectively building capabilities and competencies requires buy-in and commitment from every level of an organization. Does the organization view change management as a competitive differentiator and core competency? Is there reinforcement in place to sustain change management application at every level of the organization? 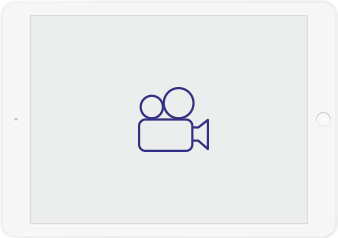 The Prosci Maturity Model Audit involves evaluating 50 specific, observable traits across the five capability areas using a rubric scoring system. The results of the Prosci Maturity Model Audit include an overall score (out of 5), scores for each of the five capability areas, and a question-by-question report. The Prosci Maturity Model is an invaluable addition to the toolbox for change leaders looking to add flexibility and durability as a core competency of their organization. Adding clarity to the definition of "maturity"
To keep pace with the accelerated velocity of change and see greater ROI on projects, organizations have to change the way they operate—and especially how they manage change. 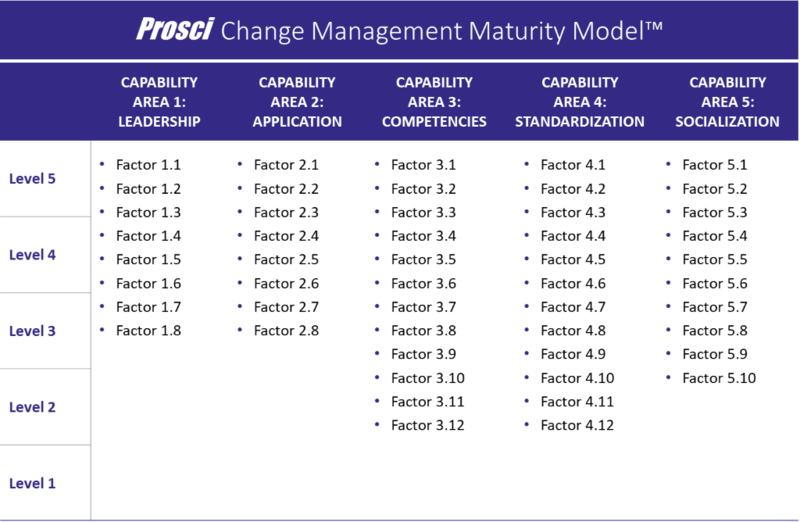 The Prosci Change Management Maturity Model and Prosci Maturity Model Audit give you the insights you need to assess your organization’s change maturity level and map out a strategy for growing your change competency. By advancing your maturity level, you’re focusing more and more on the people side of change, leading to greater success on your projects and initiatives. After working with hundreds of diverse clients, Prosci has discovered common challenges and themes that arise when organization begin building their enterprise change capability, regardless of size, industry or org charts. During this webinar Tim Creasey will share several real case studies to teach you how to foster organic pull, build a network, and apply change management to change management.